Professor Sj Miller had just finished a midday jog in the blazing, 104-degree heat of a late summer day in northeastern Oklahoma, when the teacher was confronted by a uniformed, armed police officer, driving a marked patrol car, demanding Miller provide identification. 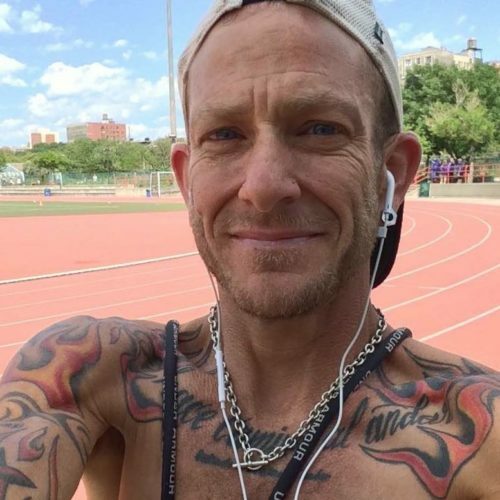 The professor had been crossing the campus of Tulsa University, shirtless, Miller’s chest tattooed and visibly scarred from the surgery that is common for trans men, like Miller. What happened next is a nightmare that the teacher feared might escalate into violence, and to Miller’s mind, remains unresolved, despite an apology that university sent LGBTQ Nation. While there are of course at least two sides to every story, it is clear the officers at no point believed Miller could be a professor at the university. Their official account is far different from that of Miller, who told us “I don’t use any pronouns” and is “(a)gendered and (a)pronouned.” In the interest of not wanting to offend but to impart clear information, this report uses Sj Miller’s last name as often as is possible without cluttering the meaning unnecessarily. It was July 20, and Miller was on campus to teach Advanced Placement literature and composition to teachers from across Oklahoma. For a lunchtime jog on the university track, Miller had taken off a shirt, and after 45-minute run was en route to the Law School to teach the AP class. Other than that shirt and a cellphone in a pocket, Miller was not carrying anything, and so had no ID to show the officer from the University of Tulsa campus police who made the initial stop. “Why are you stopping me?” Miller says he asked him. There was no reply, according to the teacher, other than the officer requesting backup. When a second patrol car rolled up and the officers again asked to see Miller’s identification, the exasperation on Miller’s face was obvious. Miller said another squad car arrived, and now four officers from the campus police, each of them with a regulation firearm strapped to their belts, surrounding the teacher.